Graphics are one of the most valuable assets for brands so, by default, graphic designers are even more important because they are the ones creating those graphics. The reality is, even though graphic designers are crucial, it can take awhile for them to make decent money due to how competitive the field is. But, that’s not to say a graphic designer can’t bring in the big bucks. After all, Pepsi paid over one million dollars for their logo! Graphic design is in the top 25 most popular fields for students heading to college. Learn more about the exciting career of graphic design. Find the perfect graphic design program. Graphic design is also known as communication or visual design. What this means is that graphic design is used to communicate an idea visually. Graphic design concepts are either created by hand, or through computer software. Hardly a new concept, graphic design has been around in varying forms for many centuries. As technology advanced, so did this art form. It wasn’t until the late 19th century that graphic design was embraced as a profession. Big thanks to the Industrial Revolution which brought in new technology allowing for the advancement of such disciplines like graphic design. In 1922, visual communications hit the mainstream. Typographer William A. Diggins came up with, and subsequently coined the phrase, "Graphic Design", to distinguish the field. It is the hope of most graphic designers to inspire, inform, evoke emotion, and captivate both consumers and customers alike. Typically a graphic designer will meet with their client to discover the scope of the assignment. Once that is established, they’ll use computer software to develop and layout the design. From there, the graphic designer will create assets such as logos, web product, or whatever is necessary to deliver the client’s message. Keeping their customers wants in mind, the graphic designer will determine everything from the layout to font, to colors. Usually, the graphic designer allows for a certain amount of project edits. Once the project is done to the client’s satisfaction, the designs are produced in a variety of mediums such as the web, marketing materials, books, and a multitude of other forms. Graphic designers work with both font and imagery to create their client’s story. It’s important that they keep up with the latest trends in technology, software, and trends, so they remain relevant and competitive. Graphic design is a highly important aspect of branding. Specialization isn’t required; however, there are many areas where graphic design is utilized such as branding and advertising, typography, interface design, web design, book publishing, logos, product packaging, and print or web production. If you’re a high school student considering a graphic design major, take courses in basic art and design, art history, and graphic and web design before committing to a college program. This way, you’ll know if you a have genuine desire and talent to make it in the competitive world of graphic design. Also, start creating a portfolio of all your projects, most college graphic design programs will ask to see your artistic abilities before acceptance. Back in the day, graphic designers were hired due specifically for their creativity and artistic skills. Nowadays, employers are looking for someone with a more well-rounded education. Associate and bachelor degrees are the most common degrees for a graphic designer. And, as the field gets more intensely competitive, employers are starting to look at applicants with a bachelor’s degree first. Earn a degree, either an associate’s through a community college or a bachelor’s through a university. Whichever direction, make sure the program is accredited. Gain experience through an internship. Not all programs require their students do internships, but it’s a good idea to find one. The experience is priceless. Create your portfolio. Compile all your work into a collection to showcase. Employers will request a resume, as well. But, sometimes your work will speak volumes about your experience. Associate’s: Two years and 65 credits are all you need to get your associate’s degree in either science or art. Community college is a more affordable route for many students. It’s also a great stepping stone toward a bachelor’s degree. An associate’s degree will introduce graphic design along with core courses. Classes such as design fundamentals, color theory, intro to typography, and web design are some of the basics students of an associate’s degree curriculum can expect to take. Bachelor’s: In four years, students will take 120-180 hours worth of courses to achieve their Bachelor of Science or Bachelor of Fine Arts. Media Management in Digital Design, Graphic Design as Entrepreneur, along with standard core classes are all part of the Bachelor’s degree curriculum. Depending on whether you go to a public school or private, and if it’s in or out of your state, cost for college could range between $11,000-$60,000 per year. Master’s: There are two master’s degree options, Master’s of Arts and Master’s of Fine Arts. The MFA is most common for graphic designers going after their advanced degree. Both degrees can take two to three years to finish. Master’s degrees can cost between $15,000-$36,000 per year. Graphic designers can get voluntarily certified through software program providers such as Adobe. Certifications may set you apart, but they don’t determine your talent, which is what jobs are based on. 3D graphic design is an emerging specialty for graphic designers. Illustrations, animation, photography, and text are created in 3D using specialized software. The college curriculum follows the same path as traditional graphic design degrees until around the second year. Then, if you’re headed into 3D design, you’ll start focusing directly on that through computer-generated 3D elements. Expect to take courses such as 3D modeling, lighting, textures, and animation techniques interspersed throughout your first two years. Third and fourth-year students will then take advanced classes that are more project focused. Internships are necessary for 3D graphic design majors, as well as a college degree and massive amounts of creativity. 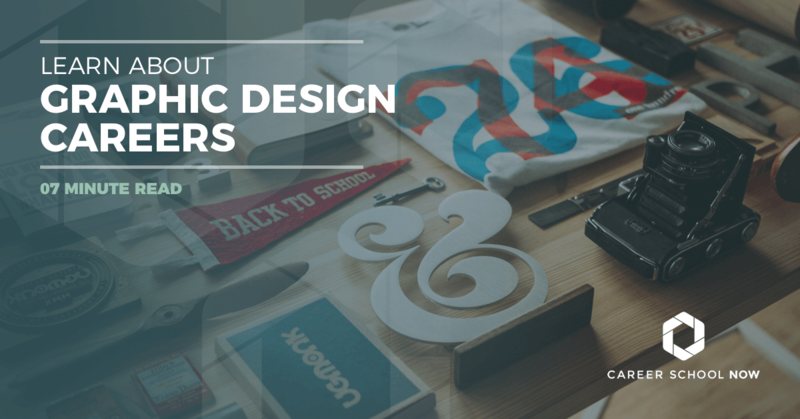 Glassdoor reports the average salary for 3D graphic designers to be over $55K annually. College-cost sticker shock be damned, you can combat the cost by piling up on the scholarships. There are quite a few that are unique to students going into graphic design. These are for accredited schools throughout the country, but there are others available that are state or college-specific. It’s always a good idea to have a conversation with the financial aid departments of schools you’re applying to or are already accepted into. It’s also a good idea to check out this financial aid article to find out how to apply for other types of scholarships. DAZ 3D Graphic Design Scholarship: A $1000 scholarship toward books, tuition, and education related costs for students going into 3D graphic design. Graphic Design Degree Hub: A $1500 scholarship for students going into graphic design, multimedia design, animation, or video game design. Print and Graphics Scholarship Foundation: A $1000-$5000 yearly scholarship, for four years for students pursuing degrees in printing technology, publishing or graphic communications, or printing management. MVP Visuals Scholarships: This $500 scholarship is offered twice per year and is available to one student each semester. TLMi Scholarship: Up to 6-$5000 scholarships annually for students entering tag and label manufacturing. Studies include graphic design, graphic arts, and production. Worldstudio AIGA Scholarship: $2000-$5000 scholarship awards are given to minority students who would economically benefit. Graphic design employment will show 5 percent, or average growth, through 2026. However, graphic designers will remain necessary to design and marketing teams. By industry, job growth will vary. Graphic design in print will drop 22 percent while those in computer system designs will rise 20 percent. Because of the fierce job competition, the more well-rounded you are with a variety of media, the better your job prospects will be. The average annual salary for graphic designers, as reported by the Bureau of Labor Statistics, is $47,640. The lowest 10% will earn a yearly salary of $26K, while those in the top 10% will make over $82K. These numbers are averages, compiled by all the salaries reported. 1 in 5 graphic designers are self-employed, and all work full time.